← Photos from the last week of July. Here is my garlic 3-4 weeks ago. Now the garlic has been brought in, cleaned and trimmed up for storage. Looks pretty good. Garlic is now ready to use. I have a dozen or so bulbs in the garage curing, these were harvested later than this first group. I’m not sure how long this garlic will last us (we use it up pretty quickly around here) but I’m happy with the crop this year, and the fact that I can cook with my own garlic. 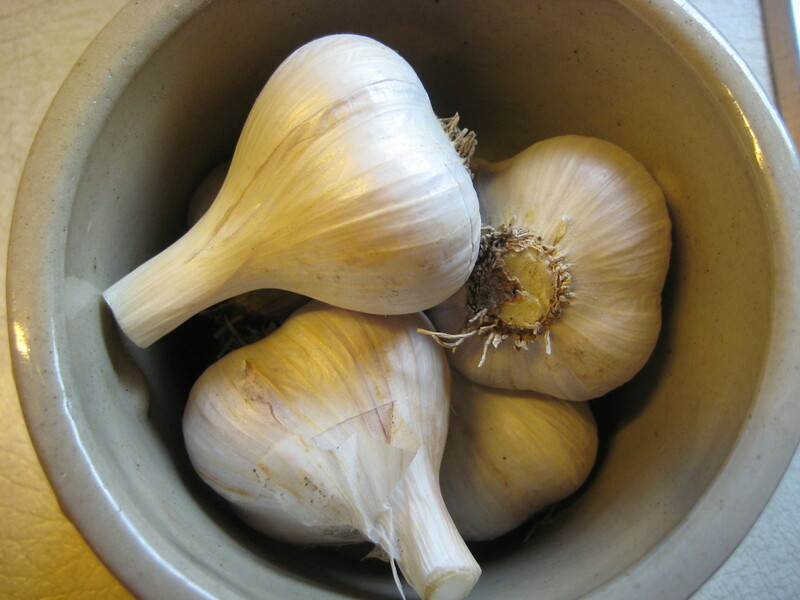 I’ve already been using this garlic in dishes (including last night’s pesto) and so far it’s tasted great. 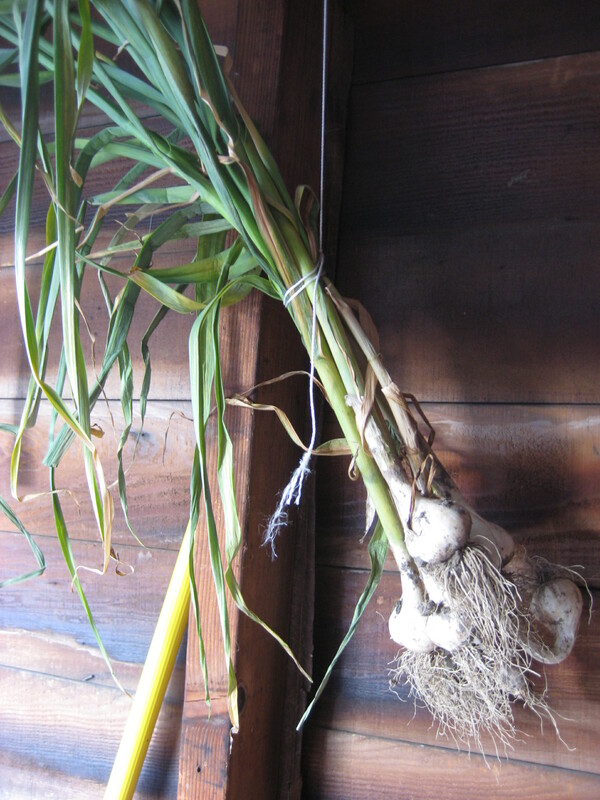 This entry was posted in Herbs, Vegetables and tagged garlic, garlic harvest, growing garlic. Bookmark the permalink. Hi Angela! Your garlic looks incredible! I am planning on ordering some from Seed Savers to plant this fall. Do you have a recommendation for a tasty variety? We go through a lot here too! Johanna, I’m still experimenting. This is only my second year growing garlic. Seed Savers is great! I can’t remember which variety this is that I grew this year. (oops!) I look for varieties that don’t require a super long growing season because I like to use that part of my garden for a fall planting. I have cukes in my garlic spot now, hoping to get a September crop.